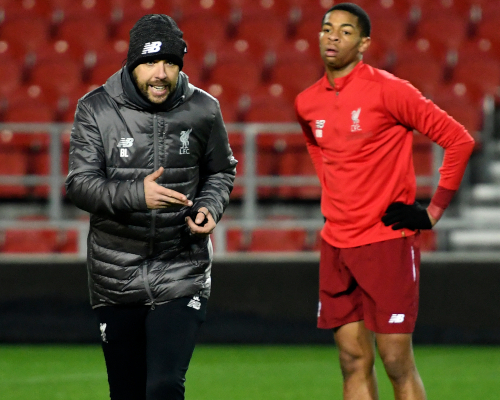 Barry Lewtas hopes prolific duo Paul Glatzel and Bobby Duncan can inspire Liverpool to a quarter-final place in the FA Youth Cup when they host Wigan Athletic in the fifth round on Wednesday night. With 41 goals between them already this season, the forwards have consistently caught the eye - and their manager believes they can spearhead another incisive team performance against a strong Latics outfit. Wigan are unbeaten in 25 games so far in 2018-19 and scored six goals in their fourth-round win over Hull City. 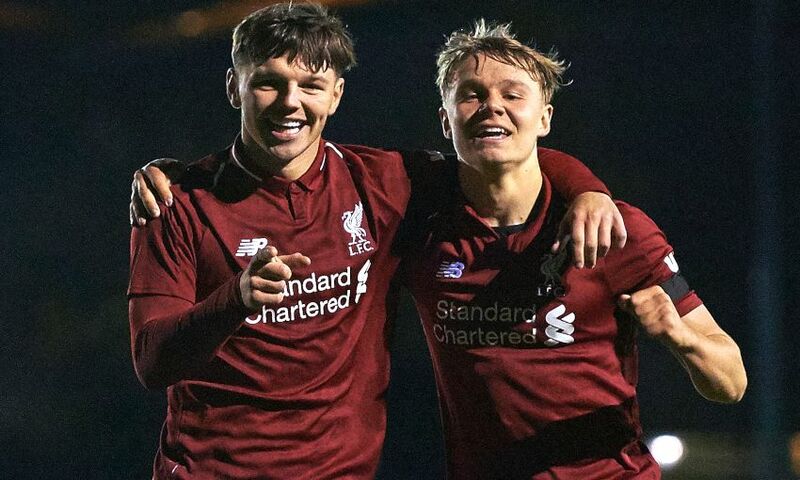 The young Reds, meanwhile, have already seen off the challenge of Portsmouth and Accrington Stanley in the competition. Kick-off at Chester FC's Swansway Stadium is at 7pm GMT on Wednesday and you can watch the tie live on LFCTV and LFCTV GO. If you want to show your support for the young Reds at the ground, admission is £3 for adults and £1 for children/concessions. Season ticket holders for Liverpool FC, as well as LFC Members, can gain free entrance to the fixture. It's a tough challenge. We know they are a good team and I don't think they have lost a game all season. They are comfortably at the top of their league, they score lots of goals, so we know what we are up against. 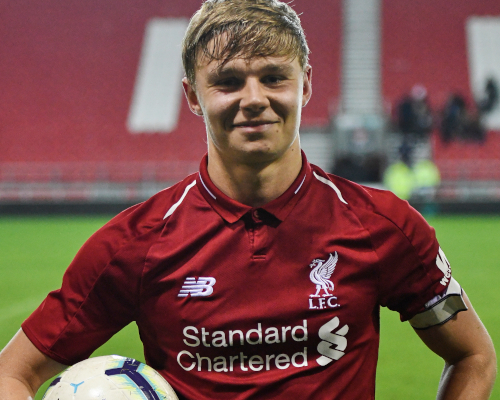 They also have a few boys who used to play for us and will want to put one over on us, so it's a really exciting game and we can't wait for it. It's a prestigious competition and we want to do well. We have played some excellent football this season and our focus is all about ourselves, performing to our maximum and playing the way we want to play but also respecting the opposition. We have got to make sure we are the team that Wigan haven't played this year and be a level above them. They scored six in the last round against Hull City and they have also beaten Wolves, who play in our division, so they are a good team who play attacking football. It's a good pitch and we are really grateful to Chester FC for allowing us to use it in the middle of the season and we are looking forward to playing there. It will be a different experience for the boys as well, playing at a different stadium. Playing at St Helens has been good to us and we have produced some good performances there, but their pitch wasn't available for this game so we go to Chester with the same plan and that is to win the game and get through to the next round. Hopefully we can get a few supporters down to Chester to cheer the boys on because it can make a difference and it adds to the experience for the boys. I thought we were good. They came flying out of the traps, to be fair, and missed a good chance in the first 20 seconds. As the game went on we had good control and I was really pleased with the boys. It was nice for Paul. The front two worked well for each other, as always, we created some great chances and we played through them really well at times. It was a good night. I've said to the boys we have to treat every round as though it's a cup final because if we don't we will be out of the competition. We will be giving Wigan Athletic maximum respect and we will be well prepared. We have got a really good group of young players and there is good competition for places and everyone is pushing each other. I think we play a nice, exciting brand of football and we go into games trying to impose our style, score goals, and we are all really looking forward to Wednesday night. The front two have stolen quite a lot of the headlines, 41 goals between them, which is fantastic, but we've needed the big man in goal on quite a few occasions. There have been a few standout games when Vitezslav has kept us in them. Right the way throughout the squad it has been a team ethic all of the way through.